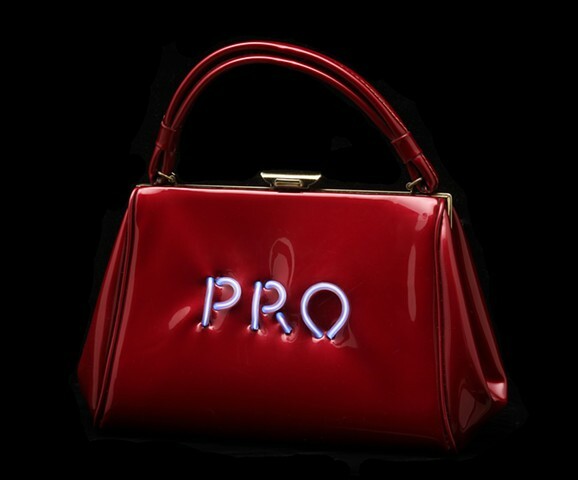 This Pred-à-Porter, Pro-Choice purse is a limited edition of 48. Five percent of the proceeds from each purse will be donated to NARAL Pro-Choice New York. Electroluminescent (EL) wire is used to light the purse. This wire operates using a small electronic driver and a 9V battery. It can be set to either continual or flashing mode. These pieces represent women's economical power and serve as a mobile small-scale billboard.